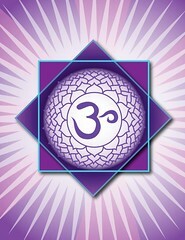 I am a qualified yoga instructor and a student of the Tantric approach to life. Yoga is so much more than a sequence of stretches and bendy exercises, yoga and tantra philosophies can be lived to fundamentally enhance your view of life and the world that you live in. It is a truly rich and exciting domain; I am passionate about it. I have embodied yoga into all aspects of my life and would be happy to share what I have learned. Yoga and Tantra philosophies underpin much of my approach to life coaching and helping people align with their true selves. Innovative coaching techniques and a very unique style have been a hallmark of my premium life-coaching practise. I have been experimenting with the use of yoga techniques in my life coaching work with great aplomb. As coaches, we must first love ourselves and our work. We can do no better than to follow this timeless advice: "Do what you love, love what you do, and deliver more than you promise." The true passion for coaching lives only within coaches who love both their subject and the coaching. This is because they know they are living their dharma. When I feel my dharma, I have no choice but to be in love with my subject and my coaching. Then this work is no longer a job, but a fulfilling way of self-expression that allows me to manifest the love I feel for who I am. It is a way of spreading joy and peace and creating an inner balance that leads to bliss. When I feel this, I am living my dharma. I am fulfilled. Asana practice not really about perfection of the poses. Instead, it is about learning to fully embody our dharma—our life mission—and do it with heart. Yoga merely enables us to do what we love with more energy and focus. It is the heart of yoga that will beat in us long after our ability to do the poses has gone. Let us teach our students the heart of yoga, the way into their own heart. Let us teach them the poses and how to care for the physical body, but let us also help them find and care for their heart. For new and existing clients that already have an interest in yoga, I plan to continue to bring more powerful aspects of yoga, breath work, philosophies, awareness and meditation into my life coaching work, both to enhance the effectiveness of the coaching alliance and broaden peoples understanding of the mind-body-spirit aspect of living authentically in this age. This is an exciting and innovative aspect of my work as a very different life coach. Let me know if you wish to enhance your coaching alliance with Yoga! If yoga or tantra is of interest to you we can embody yoga principles into our coaching work together, going as deep as you wish. Imagine journeying through a privately instructed yoga session, leading into a deep meditation, leading into a coaching session... life coaching elixir! If I, as a life coach, do nothing else but manage to create more loving human beings, I have succeeded.